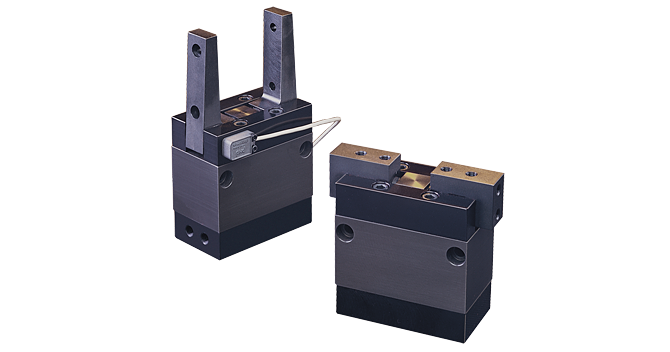 Heavy Duty Gripper | Pneumatic Angular | 5300 | PHD, Inc.
Series 5300 Heavy Duty Angular Pneumatic Grippers feature an oval piston for a high grip force to weight ratio. Spring assist provides extra grip force and retention of parts upon loss of air pressure. The hard coated aluminum body is tough and durable. Series 5300 Grippers are designed for heavy duty applications where high force and ruggedness are necessary.